I love whoppers and Robin eggs and the other day I picked up a box of whoppers and I had forgotten about my love of malt. The purchase of that box of whoppers sent me on a downward spiral and for a week I bought way to many boxes of whoppers and then also decided to make Whopper cookies out of them. If you love whoppers then you should try out this cookie. 1. Preheat oven to 350 F. Line a large baking sheet parchment paper and set aside. 2. In a large bowl, whisk flour, Ovaltine or malted milk powder, cornstarch, baking soda and salt together. Set aside. 4. 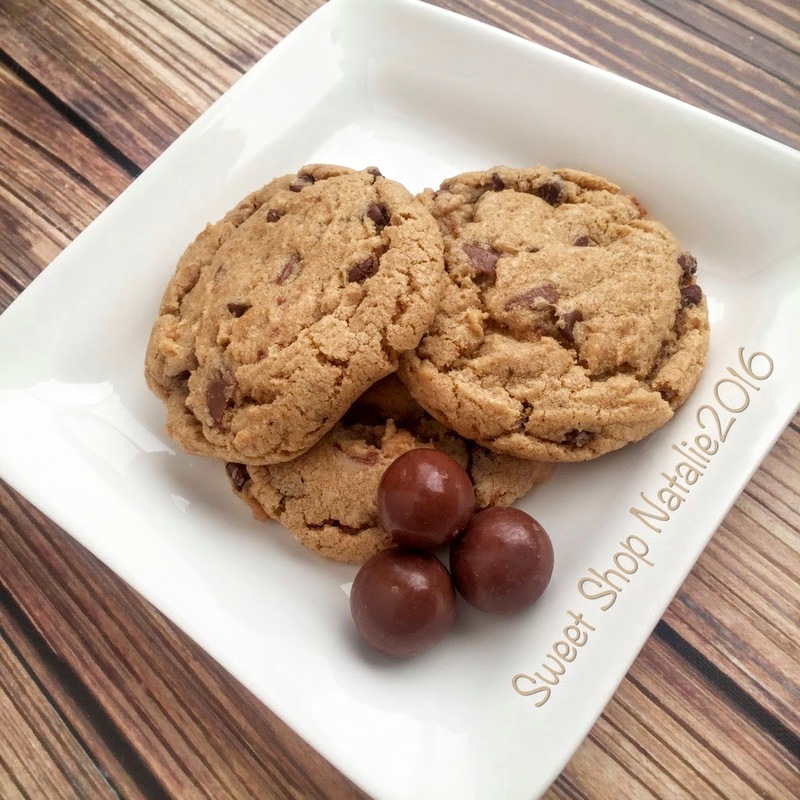 Stir in the chocolate chips and malted milk balls. Form cookie dough into tablespoon balls and place on prepared baking sheet, about 2 inches apart. *you can find malted milk powder at most grocery stores by the chocolate milk and instant breakfast powders. If you love malt you have go to try this chewy cookie!